Studio paintings in a range of media. Whole image not always displayed - select to reveal full image. 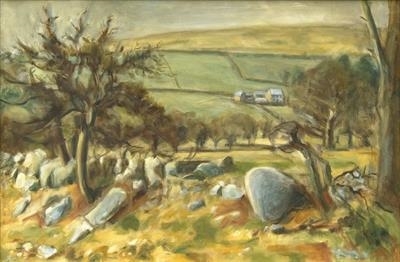 View from near the road across fields of Challacombe Down and farm in winter. Thorn trees and old field-walls.